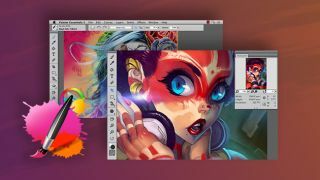 Even digital artists need a canvas, and there is no better option than Corel Painter Essentials. Artists require the right tools to bring their work to life. There is no better program to help spark your best art than Corel Painter Essentials. You can get this powerful app for digital artists on sale for just $24.99 (approx. £20). Corel Painter Essentials has been a trusted tool for digital artists, and the latest installment of the editing software is better than ever. It's packed with one-of-a-kind tools that are sure to fuel your creativity. Paint effortlessly with the app's award-winning Natural-Media brushes, sketch and draw using realistic painting tools, and create a painting from a photo in just a few clicks. Digital art will never be the same. You can get Corel Painter Essentials on sale right now for just $24.99 (approx. £20). That's a 50% savings off the retail price for a tool that will be sure to take your artwork to the next level, so grab this tool today!